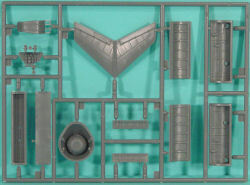 Here is the kit that started off a new hobby company - AMtech. This would be the only completely new-tool release they'd produce before they went out of business. 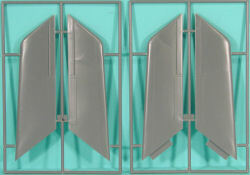 Tamiya acquired a number of the remaining bag-shots of the kit and released this interesting boxing that combines the complete AMtech kit along with Tamiya's own Kettenkraftrad kit. 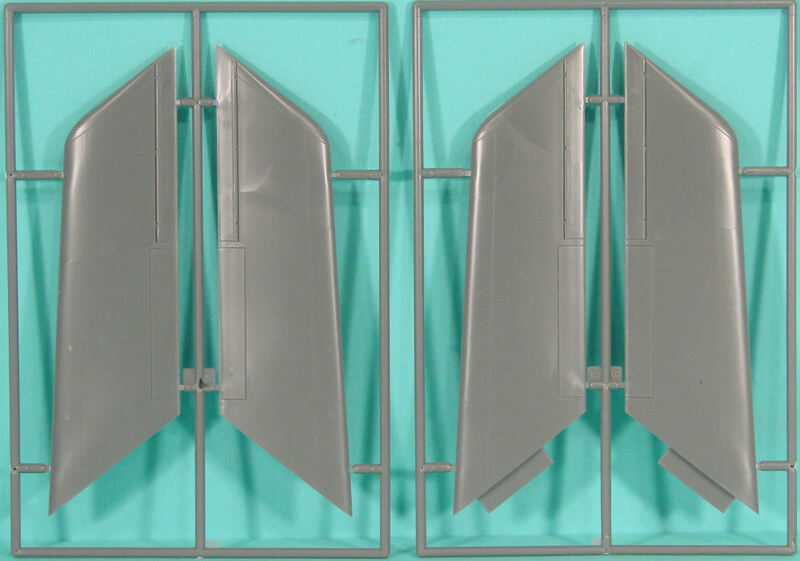 As previously released, this kit is molded in medium gray styrene and presented on five parts trees, plus a single clear canopy. 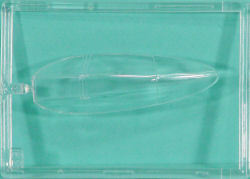 As mentioned above, the kit also includes one additional tree molded in light gray styrene for the Kettenkraftrad. You'll notice on the light gray sprue that on the left end, the kit has a nice multi-part driver figure for the Kettenkraftrad. 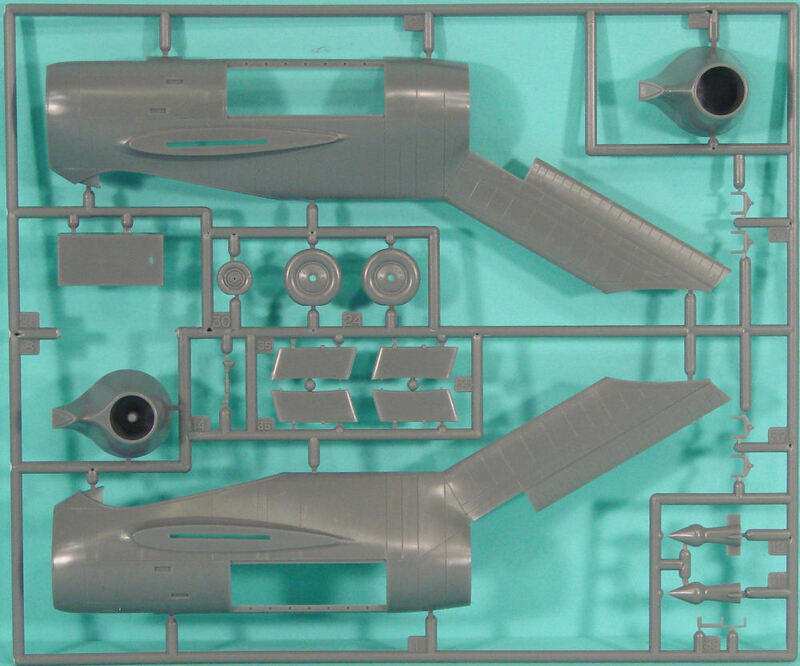 On the right side is a new-tool part that includes a new pilot's figure for the Ta 183 as well as a new nosewheel strut. What's wrong with the kit strut? 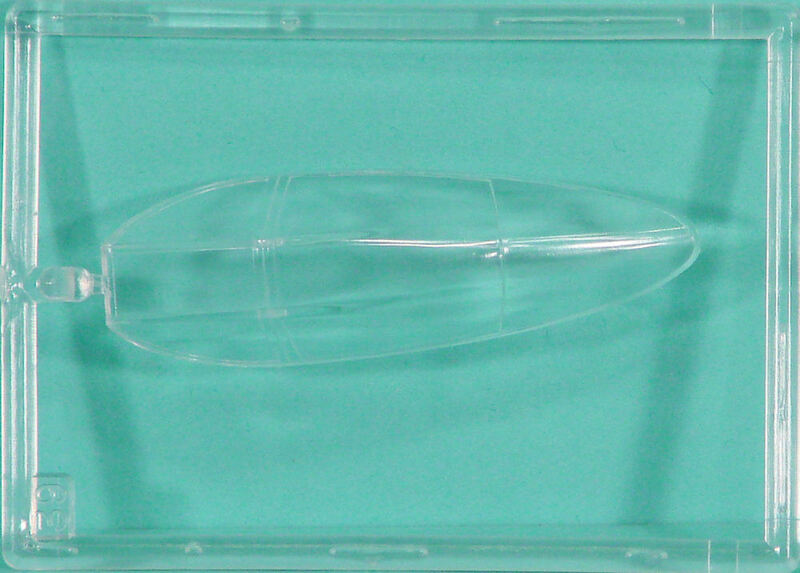 Not a thing, but in order to hook up the tow bar from the Kettenkraftrad to the Ta 183, the end caps of the nosewheel axle needed to be hollow so that tabs on the towbar could snap into place. If you are not going to attach the tow bar, you can use either nosegear strut. 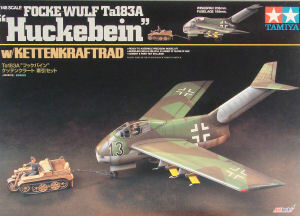 Tamiya provided markings for a notional Black 13 and a complete set of national markings including the swastikas. This has always been a nice kit and I'm glad to see it available one last time. Bundling this kit up with the Kettenkraftrad as a tow vehicle is a nice touch.